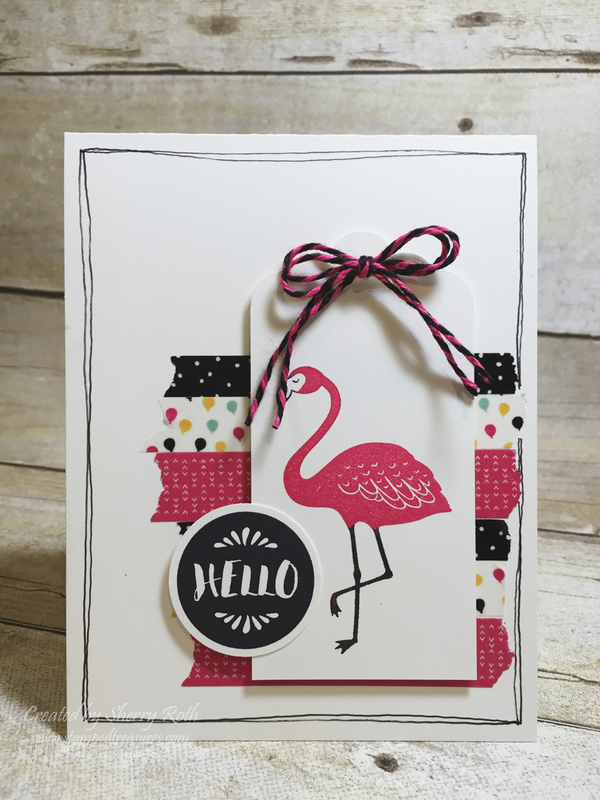 I just can't get enough of this cute little Flamingo from the new Pop of Paradise stamp set (available June 1st). I combined it with some current, soon to be retired, product. This card came together so quickly and would be a great one to mass produce. The It's My Party washi tape makes for a quick and easy pop of color in behind the tag. And then a freehand border done with a black marker to frame it all! Tip: With an image that is primarily one color, like the flamingo, ink the whole image with the dominant color - Melon Mambo here. Then use a blender pen to remove the ink where you want to add another color. So I used it to remove some of the ink on his legs and beak. Then used the black marker to color where I wanted it to be black. Did you know that if you purchase the starter kit, you can choose pre-order product as part of your kit? 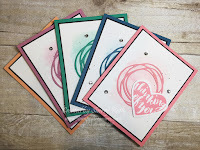 That means you can get your hands on the new in colors and some cute new stamp sets like this Pop of Paradise set. If you are Canadian and decide to take advantage of the best deal in the catalogue, I'd love for you to join the Treasure Stampers team! You can personalize your starter kit here. Anyone who joins my team between now and the end of the month will receive the completed in color cards shown below as a little welcome gift. Click on any of the photos to find out more information, pricing and to place an order.